Citrus oil is one of the most widely used essential oils across a number of applications such as food flavouring, aroma therapy, and manufacture of industrial solvents and therapeutic products. Citrus oil is widely used in the food and beverages industry, which accounts for a significant share of the overall market. The use of citrus oil is also high in massage parlors and spas. Citrus oils are used for adding a refreshing, sweet flavour to beverages such as smoothies and tea and for enhancing the flavour of baked goods such as cookies, muffins, and scones. As citrus oils are made from the peel of citrusy fruits such as orange, bergamot, lime, lemon, grapefruit, and mandarin, they can easily substitute fruit zest in a recipe, with only a few drops required to substitute the zest of an entire fruit in a recipe. Therapeutic uses of citrus oil are also of vast importance to the global citrus oil market as the application area is steadily expanding in the face of rising consumer awareness regarding the vast benefits of a variety of essential oils. The global citrus oil market is likely to expand at an impressive pace in the next few years owing to the rising demand from steadily expanding application areas. One of the leading factors working in favour of the global citrus oil market is the steadily rising demand for natural flavorants and colorants in the food and beverages industry as the consumer becomes more concerned about the negative health impact of synthetic additives in their foods and beverages. 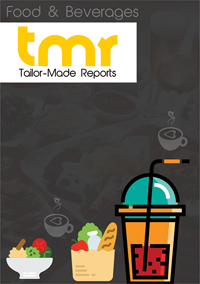 The rising awareness among the global consumer regarding the benefits of functional foods is also likely to have a promising influence on the global citrus oil market. Studies have demonstrated that the global consumption of herbal supplements has massively increased in the past few years, which has, in turn, developed an improved growth opportunity for the organic food industry. The market is also benefitting from the increased disposable incomes of the global population and the increased demand for organic personal care products and cosmetics. As the global consumer spends more resources on skincare and healthcare products that are derived from biological sources, the market for essential oils such as citrus oil is also expected to rise at a promising pace. The key applications of citrus oil are found in applications such as food and beverages, nutraceuticals, and personal care products. These industries have been expanding at an impressive pace over the past many years, tapping growth opportunities in emerging economies with a more aware and affluent consumer base. With the vast rise in demand for packaged and ready-to-consume foods and beverages and high-quality personal care products in emerging economies in regions such as Asia Pacific and Latin America, the demand for citrus oil is also expected to see a promising rise in the next few years. Companies eyeing a larger share in the market need to focus on these application areas for sustainable profits. From a geographical standpoint, the market for citrus oil in Europe is presently the leading revenue opportunity for the global citrus oil market. Vast rise in demand for natural personal care products and cosmetics, a thriving food and beverages industry, and the well-established bakery industry are the factors that have worked well for the citrus oil market and Europe and are likely to help the market expand further in the next few years as well. The markets in North America and Asia Pacific are also likely to work well from future growth perspective. This will be chiefly influenced by the thriving personal care, cosmetics, and gourmet foods industries in these regions. Some of the leading companies operating in the global citrus oil market are Citrus and Allied Essences Ltd., Lionel Hitchen Ltd., Young Living Essential Oils LC, doTERRA International LLC., The Lebermuth Co. Inc., Bontoux S.A.S., Citromax Flavors Inc., Mountain Rose Inc., and Symrise AG.